The latest brands of toner cartridges offer excellent printing solutions and results to their users including businesses, SOHO and individuals. Ink Toner Store, the premier provider of online printing solutions and supplies has recently announced the inclusion of brands such as Okidata, Konica-Minolta and Kyocera-Mita to their existing compatible product categories. 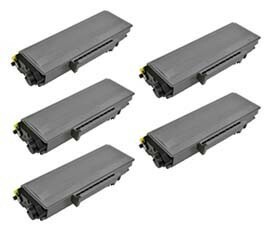 The latest compatible toner cartridges are excellent for users who are searching for affordable printing products and solutions. It must be noted that Ink Toner Store encourages its customers to shop for toners of different specifications, enabling them to fulfill their printing requirements easily. With the addition of Okidata, Kyocera-Mita and Konica-Minolta range of printing supplies, the company is looking to expand its product portfolio further. Okidata, the supplier of premium quality toner cartridges and other printing supplies, is renowned for designing and manufacturing world-class and revolutionary products. The company has re-created its toner products to offer crisp, clear and distinct images. Ink Toner Store will be supplying Okidata’s range of toner cartridges that feature smaller as well as spherical shaped particles unlike the older jagged and large particles that resulted in faded and fuzzy colors and edges. The latest enhancements made to the Oki’s range of toner cartridges will enable the users to acquire brighter colors and crisper edges. 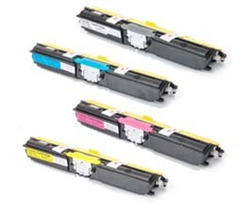 Ink Toner Store has also included Konica Minolta Toner Cartridges in its product offerings. Konica-Minolta offers excellent quality textile printing solutions. Their products are ideal for carrying out printing work on materials such as rayon, cotton, acetate and polyester fabrics. The Konica-Minolta range of toner cartridge is perfect for thick or heavy textiles like towels. Users can use disperse and reactive dyes and a variety of colors for printing textiles easily. 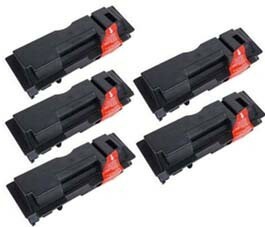 The company has also added Kyocera Mita Toner Cartridges to their product list. The Kyocer Mita range of multifunction devices, printers and copiers offer excellent printing results to their users. When coupled with heavy duty ink, the Kyocera-Mita toner cartridge delivers excellent performance without compromising around quality. For more information about Ink Toner Store or to place orders for their latest products, visit http://www.inktonerstore.com/ today! Ink Toner Store is a leading provider of online printing solutions and supplies including cartridges, and toners. Established in the year 2009, the store has been catering to the printing requirements of their users including businesses, SOHO and individuals. The company offers affordable printing supplies and solutions including premium quality toner cartridges via its website.